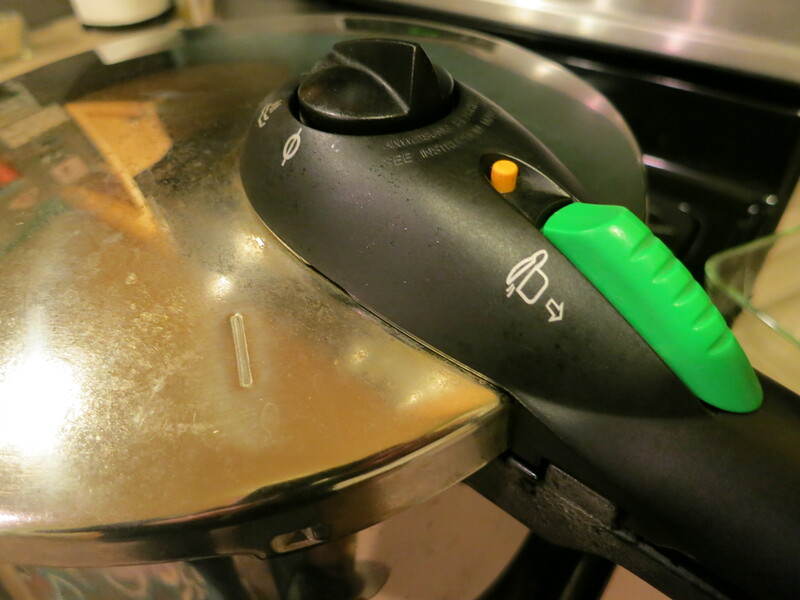 I use the pressure cooker to reduce the cooking time compared to a slow cooker and to concentrate the overall flavor. Less liquid is required to cook the meat in the pressure cooker. Also, by cooking the whole leg and then shredding it you get a good consistency of lamb, spinach and sauce. Heat the Ghee in the pressure cooker and brown the leg of lamb on all sides. Remove the lamb to a trey and sweat the onions and garlic. Shred lamb and return to the pot.